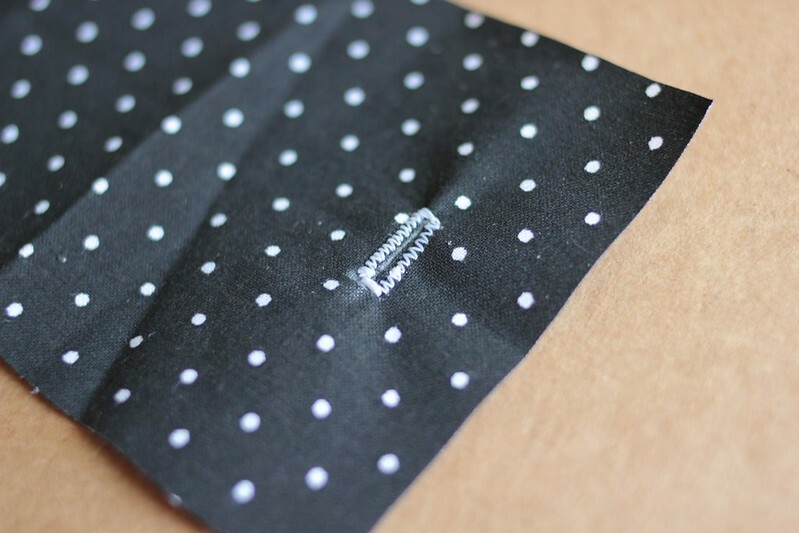 This sewing tutorial will show you how to make a buttonhole using your sewing machine. Some machines have a built-in feature, which uses these same steps — and each machine can vary a little in how much they’ll do for you. For instance, one one end of the spectrum, some machines will take the buttonhole measurements for you and create the buttonhole. In the middle, a machine will have pre-layouts of the steps but you have to manually do each step. And at the other end, the most basic machine will be able to perform all of the necessary techniques but it’s up to you to guide your machine. The techniques the most basic machine will need to do are the zig-zag stitch, and stitch in the reverse direction. Read on for the buttonhole tutorial. Or check out more of my Sewing How-To’s and Sewing Patterns. To determine the size of the button, you need to take into consideration the length + the height. 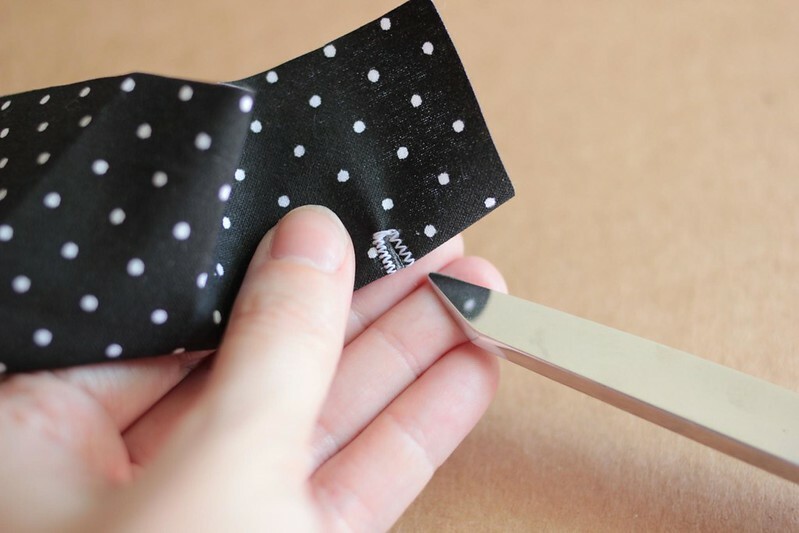 To easily do this, wrap a piece of paper around your button and pin it snugly together. Now, measure half of that paper. This is the size of your button. Now, add 1/8inch to that, and you’ve got your buttonhole size. 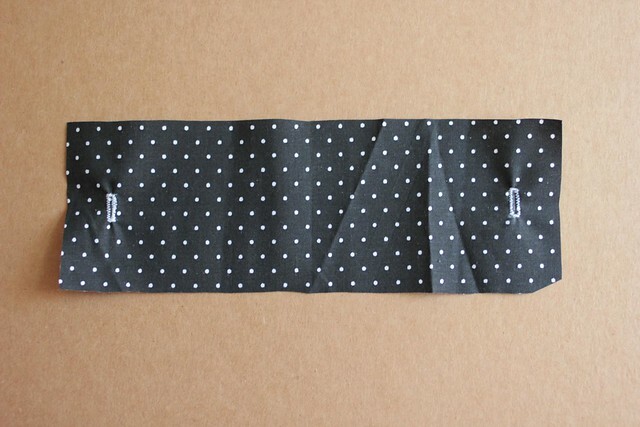 Now mark your buttonhole onto your fabric. 1. Starting in the top right of the buttonhole marking, zigzag stitch down the right side. Make sure to not actually stitch the center line. You want to leave a little tiny space in the center. 2. At the bottom, zigzag stitch a few times in place, across the entire width of the bottom. 3. Zigzag back up the left side of the buttonhole. 4. Zigzag a few times in place at the top of the buttonhole, across the entire width. Pull your threads to the wrong side of the fabric. Knot and clip them. Fold your fabric in half and use sharp scissors to snip inside the buttonhole. That’s it! You should have a nice buttonhole in your fabric. This sewing tutorial is one of the techniques that is used in my sewing patterns. My sewing patterns and tutorials are written for beginners and are easy to follow. They’ve been thoughtfully designed and thoroughly user tested, to make sure anyone can pick them up and easily make their garment or accessory. Each pattern comes with a booklet full of easy to read instructions and pictures at every step. 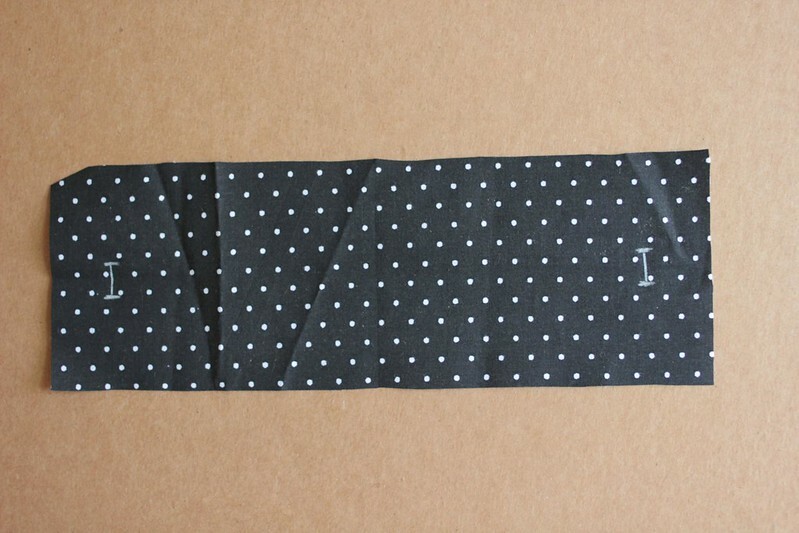 This buttonhole technique is used in patterns like the Skinny Bowtie Sewing Pattern.